Looking for the best place to go skydiving near La Crosse, WI? We frequently host guests from La Crosse at Wisconsin Skydiving Center. 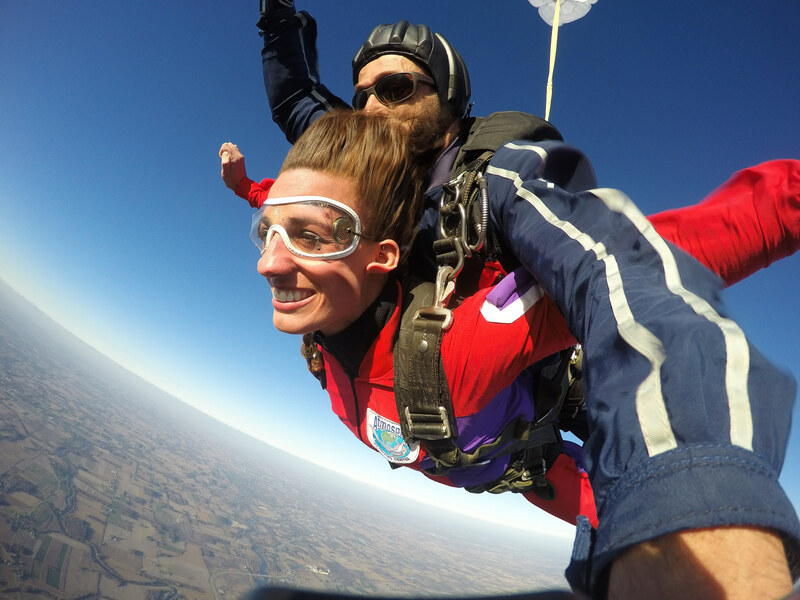 Located in Jefferson, WI, our skydiving center is approximately two and half hours southeast of La Crosse. While we may not be the closest skydiving center to La Crosse, we have a long-standing reputation for providing the highest quality and safest skydiving in the state of Wisconsin. If you’re considering jumping out of an airplane, it’s worth driving an extra 30 minutes to ensure you get the best experience possible. Whether you’re looking to make your first skydive or are interested in becoming a licensed skydiver, WSC is the place for you. We’ve been helping guests realize their skydiving dreams for nearly 20 years. Our family-owned and operated dropzone is dedicated to providing every customer with a world-class skydiving experience that is exhilarating, personal and, most of all, safe. We believe skydiving has the ability to empower people and transform their lives. If you’re ready to take the leap, give us a call at (920) 568-1700 or click the button below to book your skydive online now!